The Nitto NT01 Tire has been one of our long-time favorites as an all-around value, race or track day, extreme street car tire. Now the NT01 has come out in Nissan R35 GT-R specific sizes, 255/40-20, 285/35-20 and 315/30-20. With these sizes, you can run the same stagger as stock with the 255/40-20 in the front and a 285/35-20 in the rear or do any number of popular GT-R combinations from a 285/35-20 square setup, a 285/35-20 front and 315/30-20 in the rear or run wide front fenders and rock a 315/30-20 square setup. To run a staggered size setup on the AWD GT-R you must pay close attention to the overall diameter and keep the difference within a few tenths of an inch to keep the cars AWD system from burning up and Nitto has done just that with these new sizes. The GT-R specific tires are wide! This is the 315/30-20. Of course, these new sizes have all the traditional NT01 attributes that we have learned to love over the years which are long life on both the street (for a drive to the track race tire) and track with consistent performance through many heat cycles. The tread is 6.2/32’s deep and can be shaved to 3/32’s for cooler running. At this point, the tire turns into a slick with two shallow circumferential grooves. However, we have never had an issue with heat build-up and chunking or we have not felt noticeable tread squirm with the NT01. 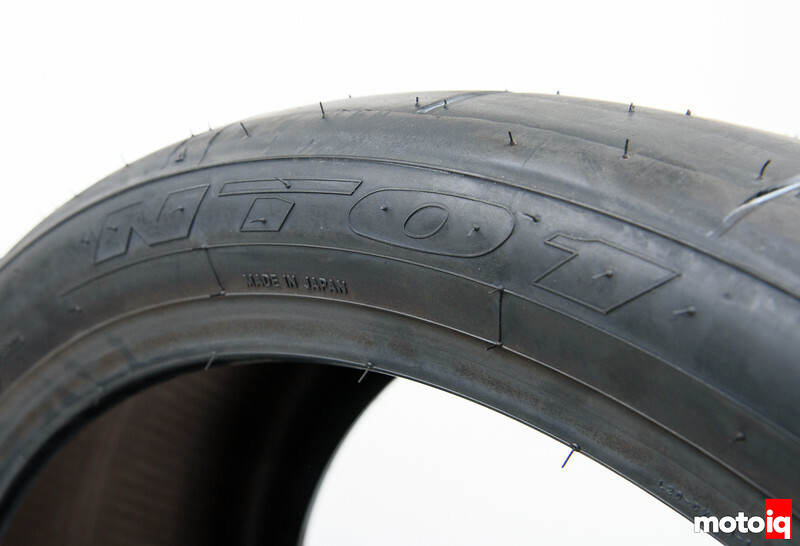 Because of this, we feel that shaving is not needed or even recommended for the NT01 as it will reduce the service life which we feel is one of the tires best features! 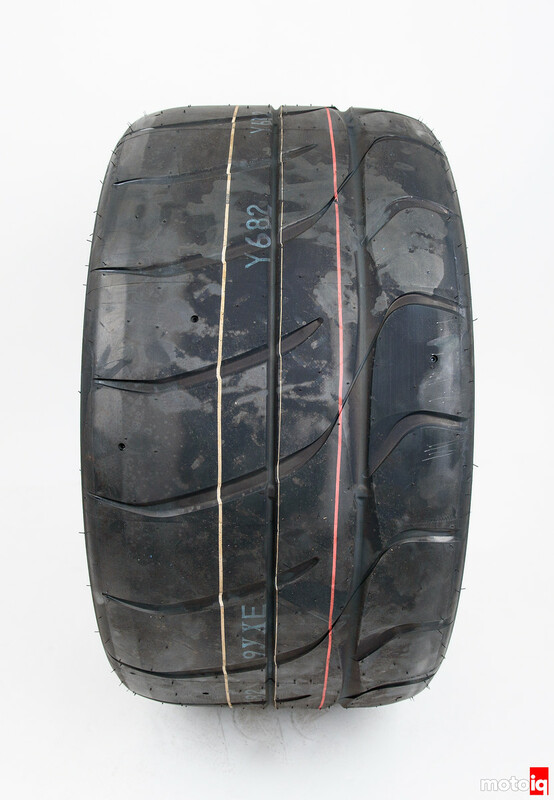 The tread compound is one of the things that contributes to the NT01’s on track staying power. Sure there are faster tires out there for sure but none can beat the NT01’s abilty to give consistent grip all the way until the tread wears completely off and few can last as long. We have stretched the NT01 to easily last 3 complete racing weekends which is two races with qualifying and practice sessions in the weekend. Although Nitto rates these tires poorly for wet traction, we have found them to work surprisingly well at full tread depth on a wet track only feeling bad when hitting standing water. The outwardly sweeping tread pattern does a better than expected job of getting water out from under the contact patch. Of course, don’t drive these in the rain on the street but since we don’t have the cash to afford dedicated rain tires when pressed, we have podiumed in the rain on the NT01 before. The NT01 has a very stiff sidewall. have you guys done track days on the previous R888’s? will we get a laptime comparison between the 2 tires? How loud is it compared to the r888? I know the r888 was known as a very loud tire for a street car. I don’t think the R888 was that loud for these sizes and the NT01 is about the same. I sort of think if you are that worried about tire noise then this sort of car and a mild DOT race tire probably isn’t for you! If noise is a priority you can go to tire rack and look at their tire matrix, they have proving grounds and test a lot of things there. You can pick a low noise UHP tire there. Mike, once the GTR is done and you guys tweak the suspensions to your liking, do you foresee problems related to the oil pick, starvation and what not due to the higher grip? 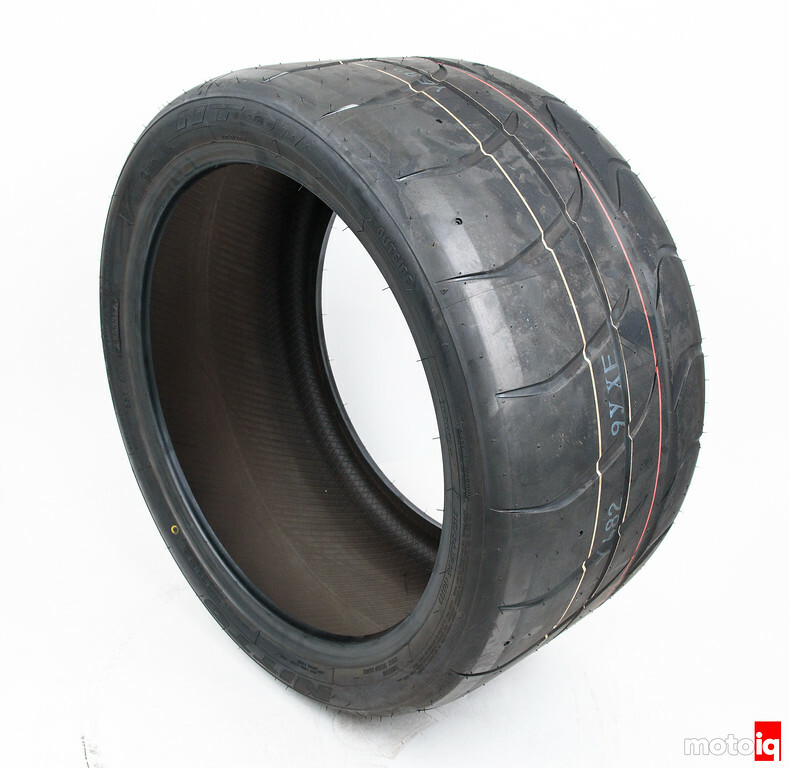 As mentioned above, it would be nice to test the old Toyo R888, the NT-01 and the new R888R….. I don’t think so as many racing GT-R’s on slicks with big aero don’t seem to have an issue with this. The engine is a semi-dry sump, sort of like a Porsche 9A1 engine. I totally agree, and I currently am on the r888 in my DD gtr 🙂 I have friends who use the MPSS as the “lower” noise option. How is the long term wear going? They seem to wear really well on our project V8 RX7. They seem to be wearing very well and performed much better in heavy rain than expected when I was caught in a heavy storm. This was in reply to my other post about tire noise, sorry for any confusion, this commenting system forced my back to the main page to enter my email/name….